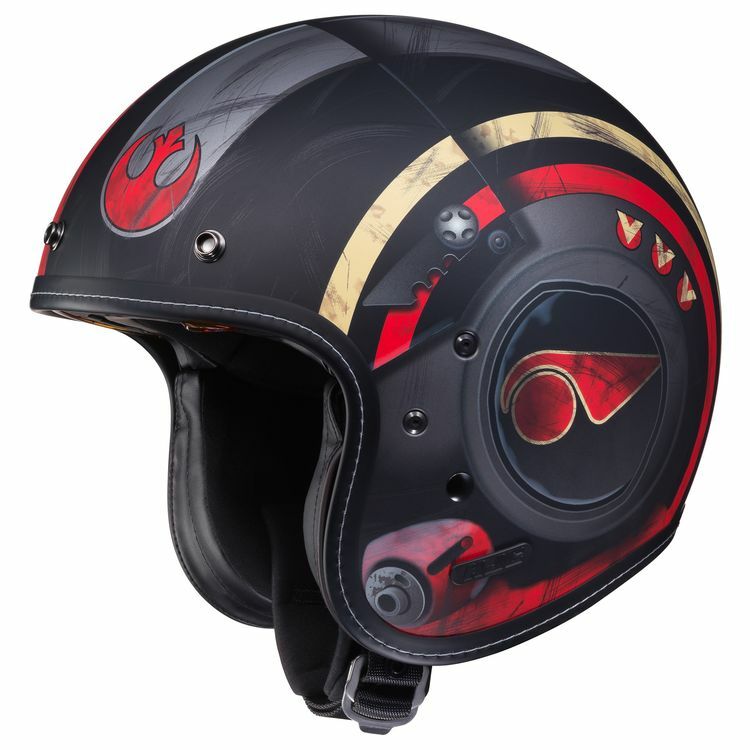 Easily the Resistance's most dashing Starfighter pilot, Poe Dameron gets his own HJC IS-5 Helmet. Wear one when flying your own T-70 and engage the TIE fighters. All right, let's light it up! This is definitely a novelty item. You buy it for the nostalgia of Star Wars. This is my second SW helmet and I have to say you get a lot of attention, but it is lacking in a few areas for me. The first it is somewhat tight where I hope it will form fit after it breaks in some more but it does give me headaches after I wear it for awhile. Second I find that it is somewhat heavy. 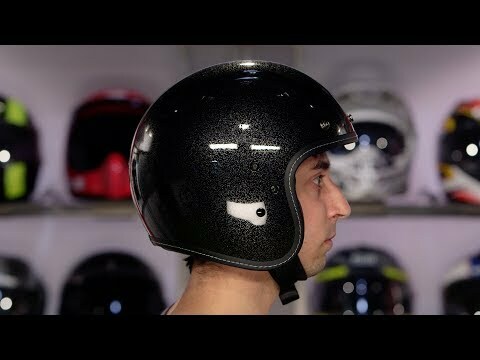 I know it has a built in visor and other features but it is heavy compared to my full face helmets and its never really a go to unless I ride my grom or scooter. Third and finally, I wish it had a few cooler aesthetic features that made the helmet more than just a open face with a paint job. Adding some cosmetic indents or physical exterior features would make me like it more. All this being said you are purely buying this for the nostalgia of owning a Star Wars helmet but nothing more.But it does offer some protection and I feel it is of quality I would pay for regardless of the upcharge of the cool paint job. The helmet is well built, very light, and consequently a great summer helmet to cruise around with. Keep in mind that it is a 3/4 helmet, and if you are comfortable wearing them, you won't be disappointed. The graphics are fantastic, and the fit of the helmet is on point. In short, this is the helmet you are looking for. This helmet is absolutely beautiful. However, I hope you like wind in your eyes! The visor looks fantastic, but does nothing to protect you from the wind. I now wear goggles with this helmet, but that sort of kills the look a bit. The helmet is also super loud! If you're a star wars fan, this helmet is definitely worth picking up; even if it just sits in your shelf. Looks and feels great - May the force be with you. Fun helmet, great look. Wish the thin black visor fit the style of the helmet. Good job HJC!